Following on from the success of the Club 500 Ghost model we have looked again at what we could produce as some modellers had concerns about not making a neat installation in that clear version which would be on view for all to see! 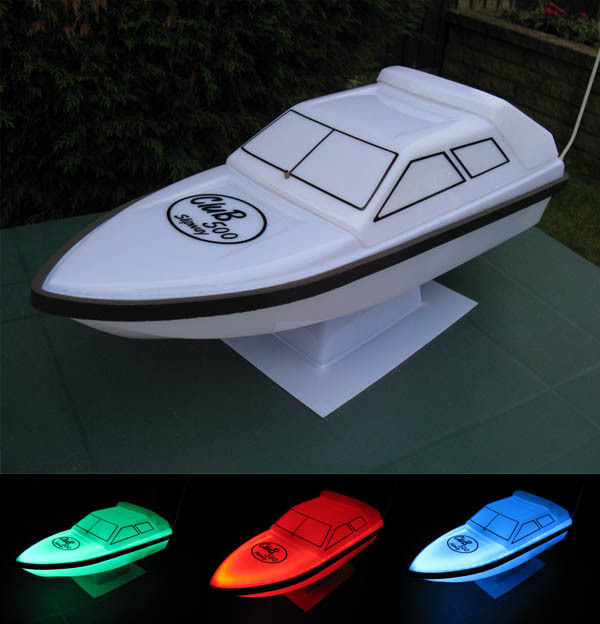 What we have come up with is a sort of half way house in that by using an opalescent plastic this gives you the option of installing your own lighting as with the ghost model so you have the best of both worlds where by day the model looks white and your fitting out cannot be seen but as evening falls it can illuminated and looks quite spectacular on the water. No other model has been made before that can be lit in such a way. It is also supplied with a special set of new window decals in order to allow as much of the lighting to show through as possible. If you require further information contact Malcolm on 01902 746905 or 07884071122.